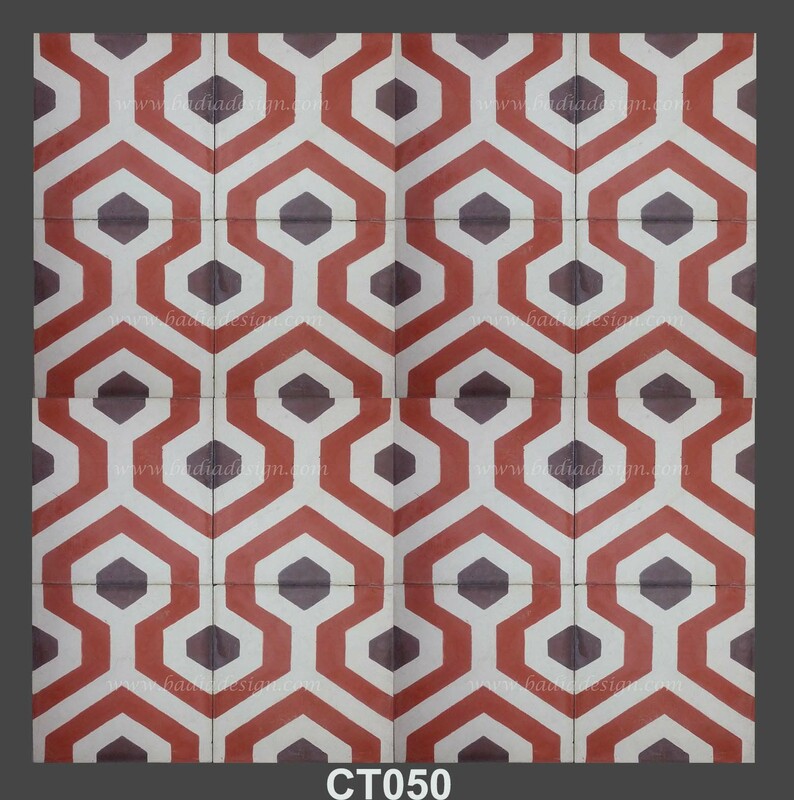 Our Moroccan Cement Floor Tiles are handmade and hand painted by our skilled artisans in Morocco. They are made of the highest quality and workmanship, ensuring that you are satisfied with our products. 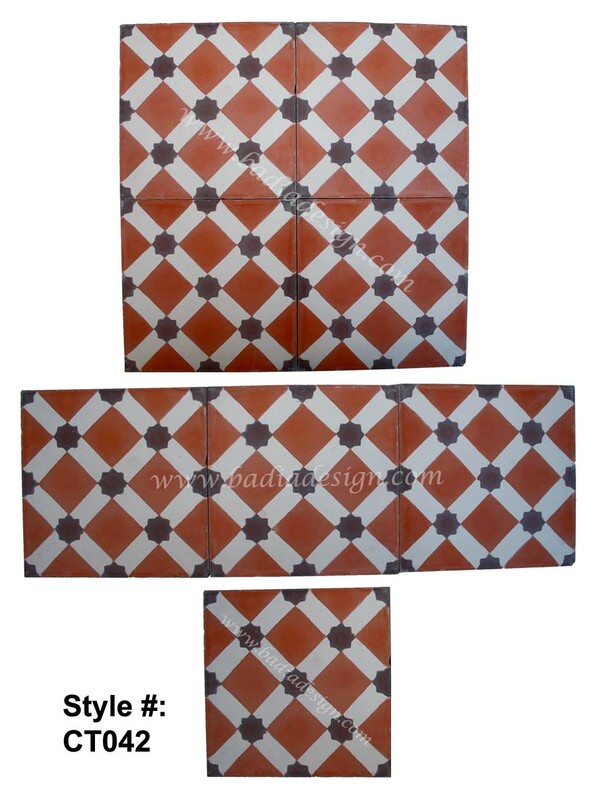 With our Moroccan Cement Tiles, four square pieces make up one complete design in most cases. 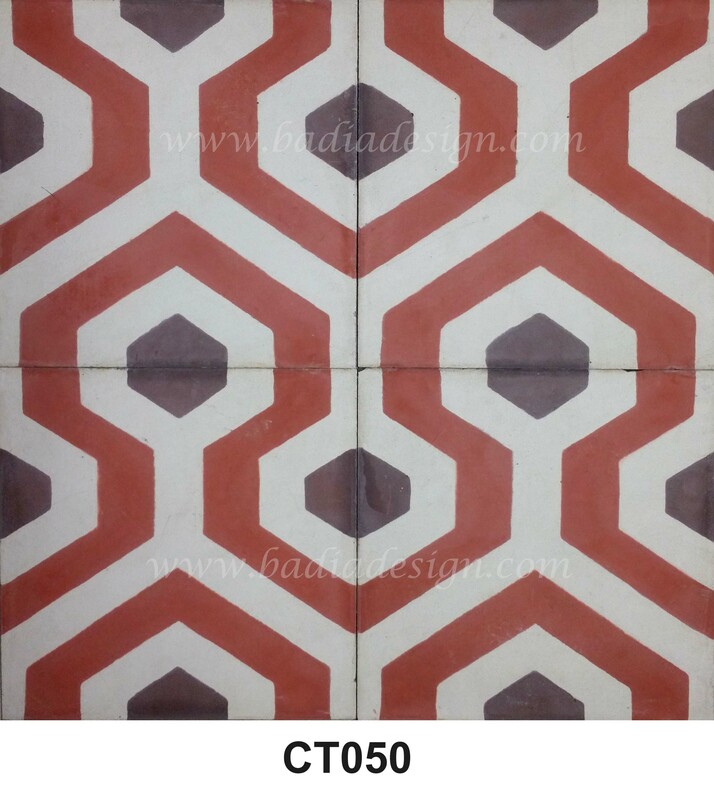 Whatever your Moroccan Cement Tile Project is, I’m sure you will enjoy their vivid colors and design for many years to come. 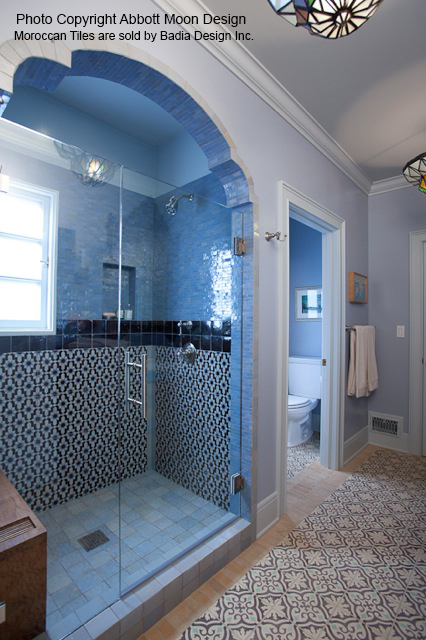 Don’t see the Moroccan Tile you’re looking for on our blog or website? Simply give us a call or email, let us know your requirements and we can special make them for you. 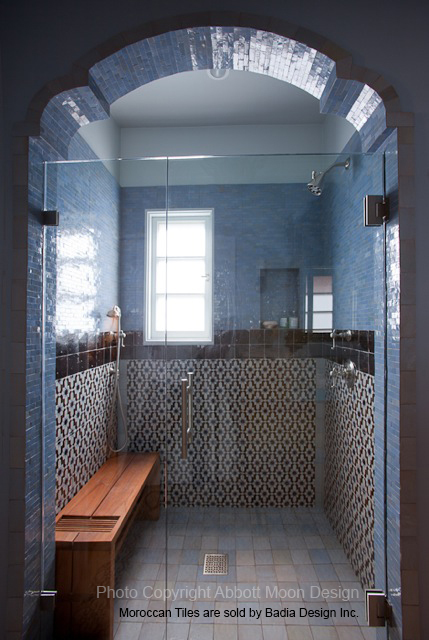 This beautiful bathroom is designed by Abbott Moon Design. http://www.abbottmoon.com. Photos copyright Abbott Moon Design. 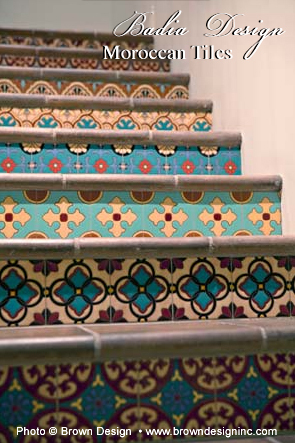 This is a beautiful combination of different Moroccan Tiles staircase designed by Ryan Brown from Brown Design! 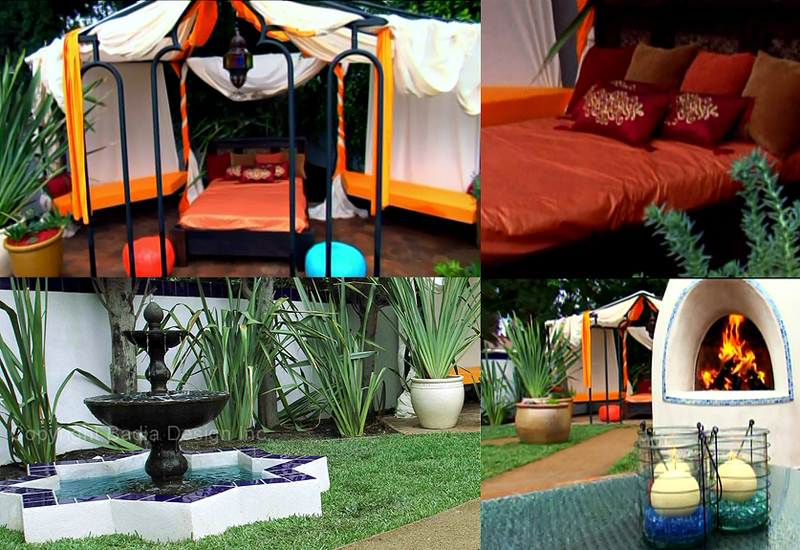 It’s so colorful and unique! Ryan Brown is the founder of Brown Design, a residential and commercial interior design firm based in California with offices in Los Angeles and Santa Barbara. With more than 15 years of design experience, Brown has a deep understanding and appreciation for transforming architectural spaces into stunning reflections of his clients’ tastes and lifestyles. Brown captures twenty-first century California living in a way that rejuvenates, inspires and encompasses the essence of living well. His passion for creating custom blends of natural contemporary, organic and warm spaces is paralleled by the efficiency and creativity found in every Brown Design project. 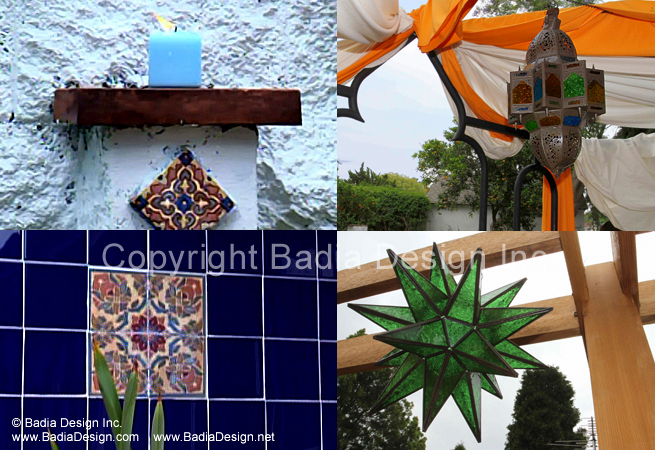 These Moroccan Tiles are imported from Morocco by Badia Design Inc.